It is that time of the year! Not only is watching National Lampoon’s Christmas Vacation a must, but so is decorating your home for the holidays. While the sound of “250 strands of lights, 100 individual bulbs per strand, for a grand total of 25,000 imported Italian twinkle lights,” might be overwhelming, a lot of us like to show our holiday spirit with outdoor Christmas lights, and JangoSMTP can make it easier! Throughout the 1989 movie, the main character, Clark W. Griswold, is on a mission to host 'the most fun-filled old-fashioned family Christmas.' Clark escapes his in-laws by putting up Christmas lights on nearly every inch of his house, but can’t get them to work. When they finally turn on, his family is ecstatic to see the house...everyone but his father-in-law, Art. Art immediately notices that the little lights aren't twinkling – a minor detail in the whole elaborate display. Fast forward to today. If Clark had the technology we have, he wouldn't have to rely on Art. Instead, he could connect all of his outdoor timers to an SMTP server like JangoSMTP. Any time the little lights weren't twinkling, he would be notified via email on his smartphone. Nowadays, some houses and even neighborhoods decorate every inch of their lawn. There are sensors, timers, and heck, you can even program your lights to the sound of Christmas carols. Even if you aren't going all out like Clark, you can set up email notifications confirming the activity of your lights, indoor and outdoor, using JangoSMTP. Before Aunt Bethany thinks your house is on fire, or Art informs you the little lights that aren't twinkling, connect your Christmas light timers to our SMTP server. Try a JangoSMTP 30-Day Trial and send up to 500 emails for Free. Pat yourself on the back, marketing genius. A customer has visited your website and made a purchase. If they've gone that far through the funnel, you're definitely doing something right. 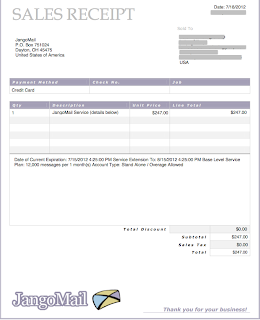 Thanks to JangoSMTP triggers, your customer receives an email confirmation of their order soon after the transaction. As they'd expect, the confirmation includes all the usual suspects - item(s) or service(s) ordered, pricing, shipping method and address. And if you're really on the ball, their estimated ship date. To this engaged customer, you may have even included a thoughtful "thanks for your business" or "please visit us again." And while that's a step in the right direction, why stop there to secure a repeat customer? To make the most of your JangoSMTP experience, consider a cross-sell. Not a follow-up email or customer service outreach but an offer right inside the transactional email. You know, that expected outreach they're expecting and sure to open. Cross-sell content, images and offers are commonplace in transactional emails these days. Customers expect to see them, so it's totally fine to deliver upon those expectations, especially if it means the potential for another transaction. Cross-sells can not only show customers that you want to ensure they get the most from their product or service purchased, but also that you know them personally. If they purchased exercise gear, highlight water bottles. If they ordered tickets to a movie, educate them on upcoming releases. If they opted into your quarterly newsletter about knitting, ask them to opt into other lost arts email groups. The more products and options that are relevant and public to them, the more likely they'll respond to both of your mutual benefits. Grow their attachment to you ... grow more lists and sales for your business. 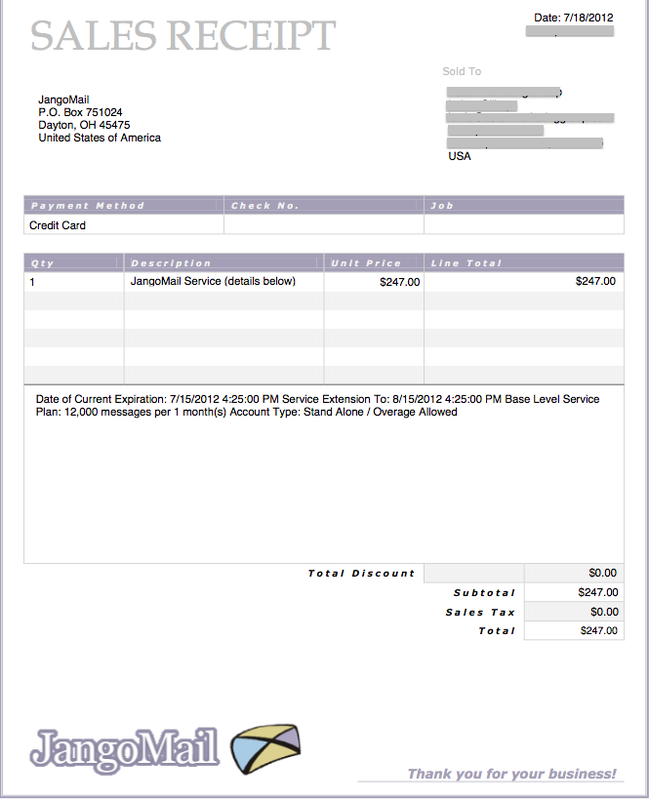 JangoSMTP, unlike many other services, offers open and click tracking features on transactional emails. So you can see how successful your transactional emails are at encouraging customers to come back. Are customers clicking on the promoted sections of the email or just parts related to the order? Mystery solved - all the information you'll need to determine what's working and what's not is at your fingertips. Order confirmations are just the beginning. Include cross-sells in shipping confirmations, too. Use tact. If recipients have already received cross-sells and not responded to this tactic, try another strategy. Perhaps their shipping confirmation updates include a coupon or discount for future services or product purchases. Try testing these options by switching out which cross-sell will be presented to different groups first. Based upon those test results, you'll discover a winning strategy that reaps the most ROI. Do different blast times make a difference? Higher or lower purchase levels? Test again and nail down your winning path. If you have any questions about making the most of your transactional emails, contact us any time. We're here to help! Don't you have better things to do than babysit your SMTP Server? What will your IT team do with their free team after signing up with JangoSMTP? Let us know what you think and sign up for a free account here! If you haven't made use of this cool JangoSMTP feature, you should give it a long, hard think. This key event data in the life cycle of your email is pushed - in real time - directly to your server. So, you're always in the know about the overall success of your transactional email. Plus, you can make adjustments and improvements on the fly to strengthen ROI. Custom coding can be used to create unique notifications, logging or custom integration into your own back end. We're always up for developing new ways to help you make JangoSMTP your own - so ask us to jump in and help any time. 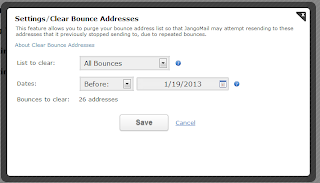 Transactional email event API is a relatively new feature for JangoSMTP. We've had a Standard email API, which you can learn more about in this PDF tutorial. 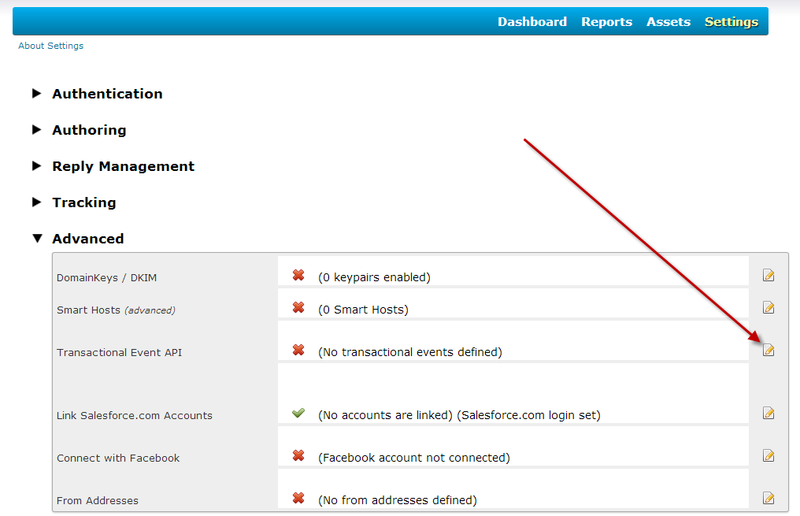 Here's the key difference between the two: The Event API pushes event data (opens, clicks, etc.) to your system as the event occurs. The Standard API needs to be pulled by your system to retrieve open or click data. Before you consider the new API a "lazy man's lobster" version of the old, remember that technology evolves. And as it does, we're on the lookout to bring it to you fast. But everyone has a preference, so it's up to you to choose what works best for your company. 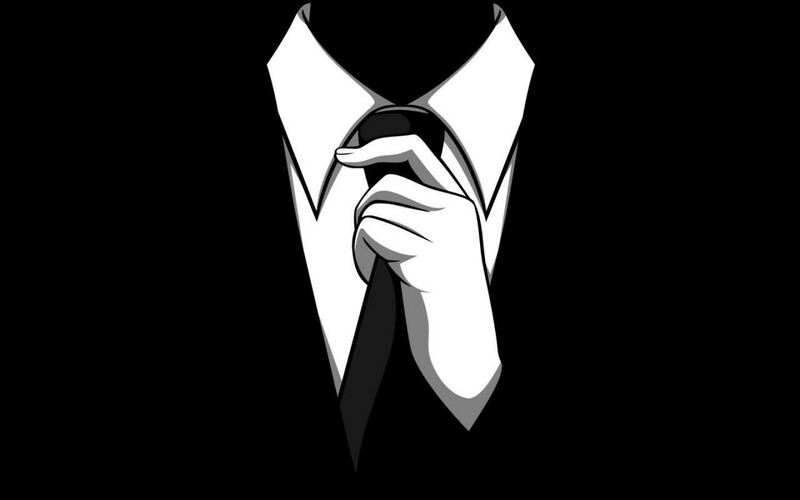 If you have any questions about Event API or any other JangoSMTP features, hit us up. We'd love to hear from you. We had a prospective customer recently come to us with an interesting request with regard to the privacy of their email recipients. They wanted the actions of their email recipients to be anonymized in such a way that in no way would it be possible for anyone to determine which specific email addresses opened, clicked, unsubscribed, or experienced a bounce in a given email. The prospective customer had a real concern for the privacy of their recipients but still desired the aggregate reporting metrics that make things like measuring the effectiveness of a group of emails possible. Total clicks? Great. Who clicked on which link? Gone. The feature ensures that the specific email addresses are purged from the database and removed from the SMTP logs after receipt, ensuring they cannot be retrieved or compromised by anyone. The total actions for each transactional group are still aggregated and made available via reporting. The first step to maximizing the effectiveness of popular forum software, like vBulletin, is to enhance them through configuration with JangoSMTP or JangoMail. vBulletin is a helpful forum software package that facilitates online community discussions related to your business. The system also sends a variety of transactional emails: new registration confirmations, topic reply notifications, PM notifications, and more. So how can JangoSMTP improve your vBulletin account? 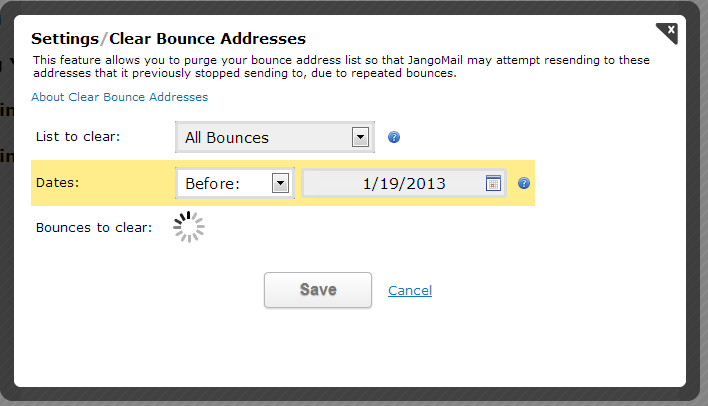 JangoSMTP offers more email reporting features than what you will find in vBulletin's package. JangoSMTP's email delivery and tracking capabilities ensure that your signup confirmation emails will go through the first time and be open and click tracked. 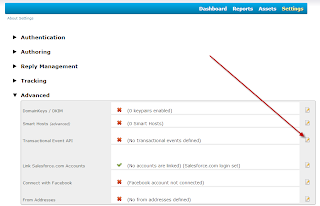 It's a common issue with forum software - if a user doesn't receive their confirmation email, they can't use your forum. As a result, users need to contact your forum administrator to activate their accounts manually, which is not ideal, especially if you have a large forum. vBulletin can also be used to send mass email newsletters to your users, to keep them engaged. 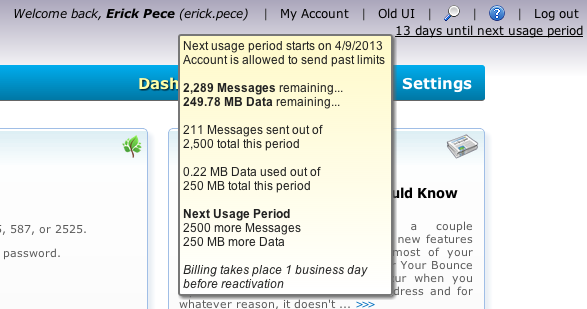 To do so, go to Users - Send Email to Users within your Admin CP and configure it with a JangoMail account. As always, if you have any questions or need extra help configuring your vBulletin account with JangoSMTP, contact us at any time. We added a quick go-to menu, accessible at the top of every JangoSMTP page that shares some of your account's vital statistics at a glance. How are things? We've just a couple announcements for you this week–2 new features we think will help you make the most of your JangoSMTP emailin' experience. Many of the potential reasons for a bounce are temporary. 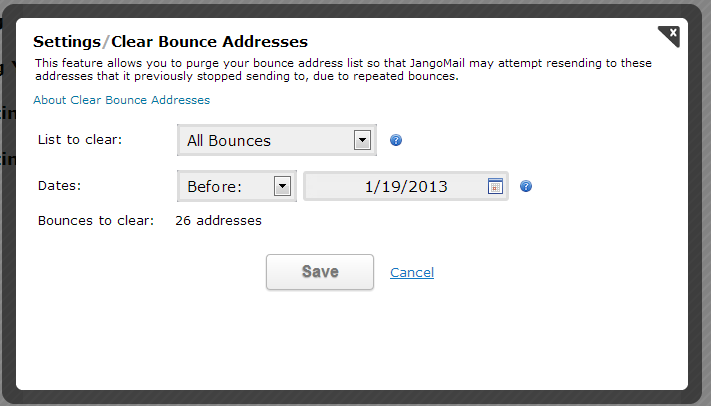 As a practice at JangoSMTP, we stop sending email to an addresses after it has experienced a bounce three times. This is sufficient for most users. But if you want to maximize your potential reach, it makes sense for many users to clear some or all of their bounced addresses periodically to reattempt sending unless they've determined the email address to be permanently closed. 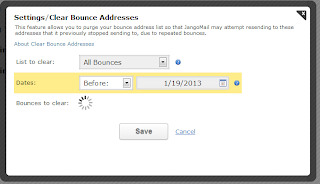 To clear your bounce addresses, go to "Settings-->Authoring-->Clear Bounce Addresses" make your selections and click "Save'. 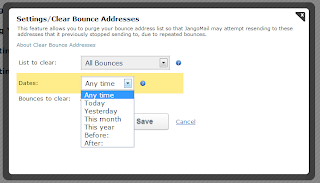 Choose a time frame you wish to clear bounces from and click "Save" to clear your bounce addresses and reattempt sending to those addresses in future emails. 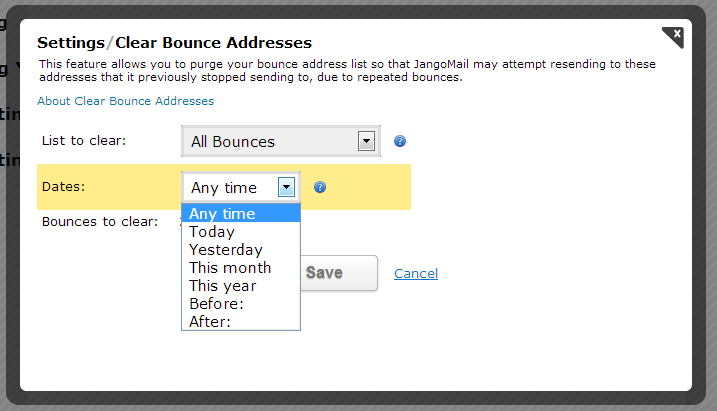 Here's a feature we released for JangoMail a while back but didn't announce to the JangoSMTP crowd. Until now. Short and simple this time. But don't worry, there will be plenty more for you on the way. We're always working to innovate. We've been doing a lot in the back end in recent weeks. We're re-writing code, optimizing and ensuring redundancies are in place to give you the fastest, most reliable service possible. We wish you the best and please contact us should you need anything.